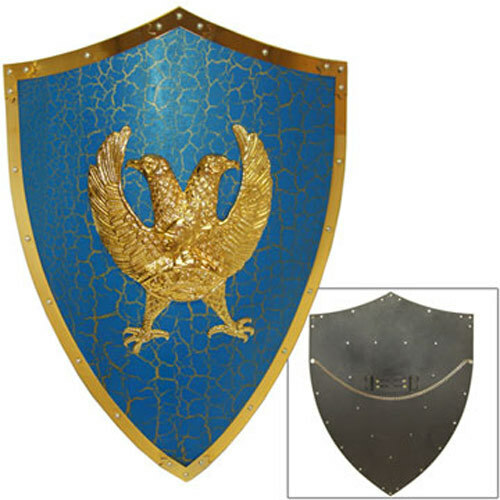 This medieval shield is 20 gauge steel and measures 25inches long by 17.85 inches wide with real brass edging and a antiqued paint finish. It comes with a chain to hang it on wall and has a bracket for adding one or two swords on the back for display.Perfect for use in reenactments or an upcoming Renaissance Fair. This kind of quality is tough to find.